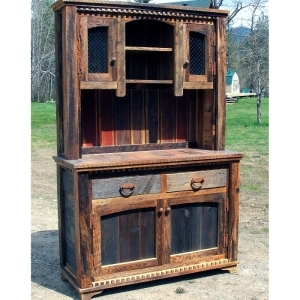 We are pleased to announce our latest line of premium handcrafted rustic furniture from The Idaho Wood Shop. Located in scenic northern Idaho, The Idaho Wood Shop builds unique and elegant heirloom-quality log and reclaimed wood furnishings which can be passed down and enjoyed for generations. Like most of our manufacturers, The Idaho Wood Shop offers a lifetime materials and workmanship warranty on all of their pieces so you know you can shop at Log Cabin Rustics with confidence.